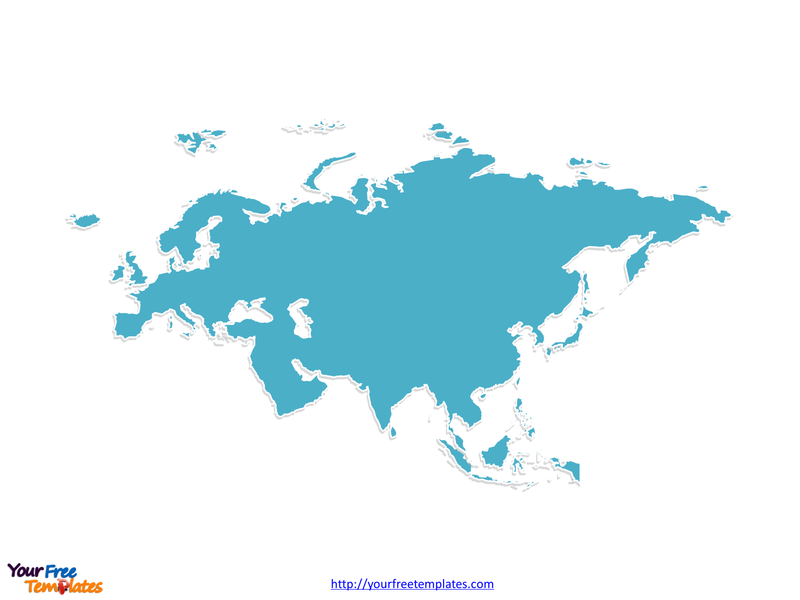 Eurasia Political map with Europe and Asia countries, Eurasia outline map with the combined outline of the two continents, and Eurasia Continent map with continent outlines for the Europe and Asia respectively. Eurasia is the combined continental landmass of Europe and Asia. 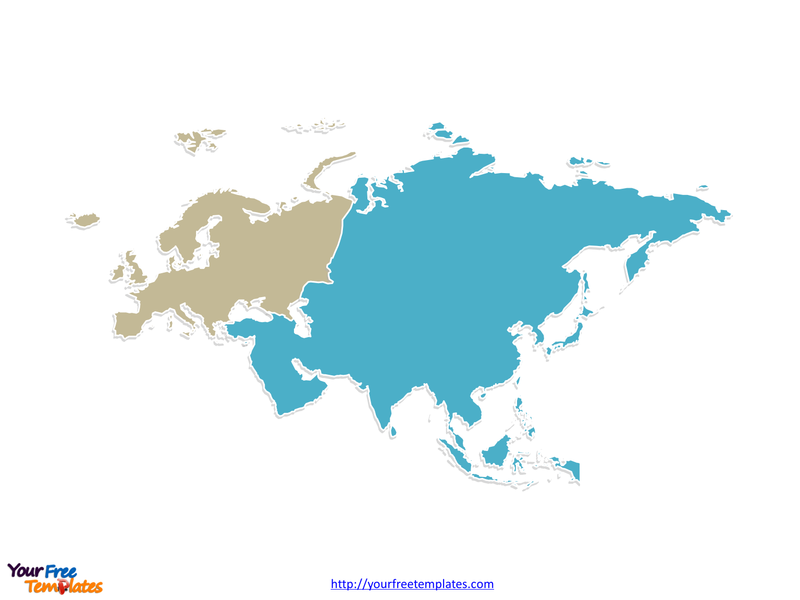 Eurasia covers around 55,000,000 square kilometres (21,000,000 sq mi), or around 36.2% of the Earth’s total land area. 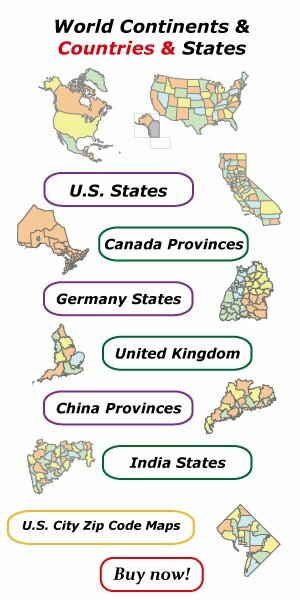 The landmass contains around 5.0 billion people, equating to approximately 70% of the human population. 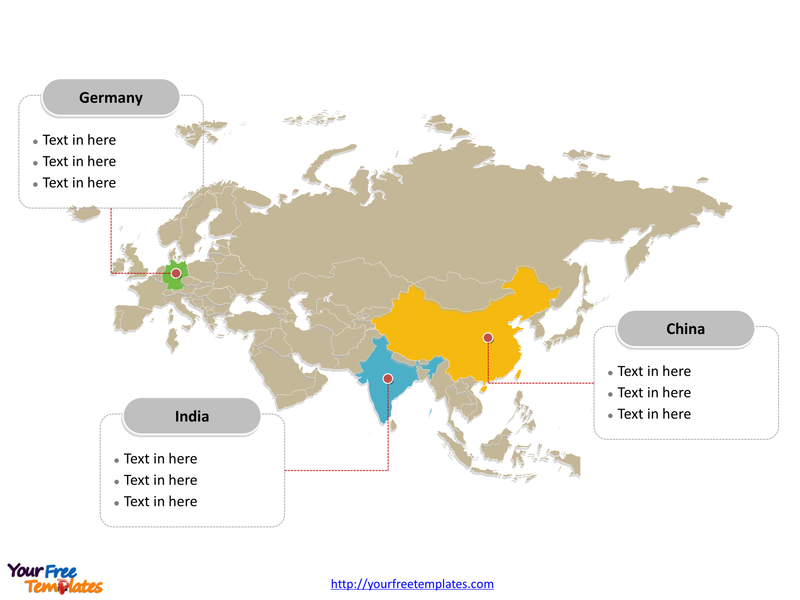 The Map of Eurasia Template includes three slides.